Log on to the university Eportal [www.oauife.edu.ng] and click on 2016 ADMISSION SCREENING-UTME/DE APPLICANTS by using your JAMB registration number to download RRR [Remital Referral Reference] and use it to pay dues. Reports coming in indicate that members of the Non-Academic Staff Union (NASU), Obafemi Awolowo University chapter were involved in a physical scuffle with some representatives of the Union from its National Headquarters. The representatives were alleged to have come to confiscate all the vehicles of the OAU branch of NASU. This might not be far from the alleged disagreement between the local body of the union and it's National Headquarters in recent times - over the appointment of the OAU Vice Chancellor. The second edition of the popular music, poetry and arts festival, GoPoethick, is set to happen today, July 15th 2016, at Cooperative Hall by 4:00 pm. The event is said to feature several artists from various fields of the arts. If you seek a reason to love the arts or are a lover of arts, then you had better not miss GoPoethick 2016. We at OAU Peeps also use this medium to wish Mr Adewale Victor, one of the brains behind GoPoethick, a happy birthday. Trailing the scrapping of the Post-UTME exercise by the Federal Government and the following comments on the proposed screening procedure by the University Registrar a few days back, there are strong indications that the July 15th deadline which was previously advertised by the University for it's Admissions Screening may no longer hold. After a visit by our correspondent to the University's ICT centre, we were able to gather that the Screening procedure which is yet to commence, as the application portal has been offline, can no longer close on the 15th of July. Our source, who decided to remain anonymous, stated that the Screening exercise may not even occur anytime soon as an acting Vice-Chancellor was needed to initiate the process. However, no official statements have been made in light of this and thus it may not be unwise to continue to check the University's Portal. 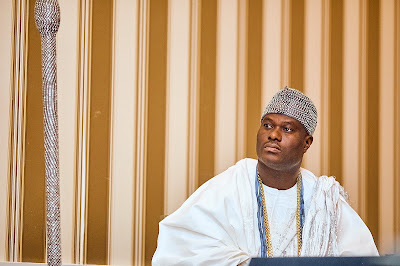 The Ooni of Ife, His Imperial Majesty, Oba Enitan Adeyeye Ogunwusi, Ojaja II has said he is aware of the crisis rocking the Obafemi Awolowo University, and promises that "all will be resolved". In a tweet by the Ooni today, he said the situation was recently brought to his attention. On Monday, we got reports that the leaderships of the OAU branch of Non Academic Staff Union of Universities (NASU) and Senior Staff Association of Nigeria Universities (SSANU) met with the Ooni, in a bid to resolve the institution's crisis. On June 28, the Joint Admissions and Matriculation Board (JAMB) held a meeting with various varsities on modalities of screening candidates for 2016 admissions. OAU Peeps News Agency brings to you what you need to know as it relates to Obafemi Awolowo University. This year, admission quota for UTME candidates and Direct Entry (DE) students will be at ratio 90:10. This means if OAU will be admitting a maximum of 6,000 candidates this year, 5,400 of them will be UTME candidates and the remaining 600 will be DE candidates. Note, there will be no Post-UTME this year and candidates seeking admission into OAU are not required to come to the campus for screening. OAU Peeps learnt that candidates will be solely recommended for admission by JAMB and the only criterion will be the candidate’s UTME score. Chances of admission may also be influenced by the State from which the candidate comes should he or she fail to meet up with the merit quota. 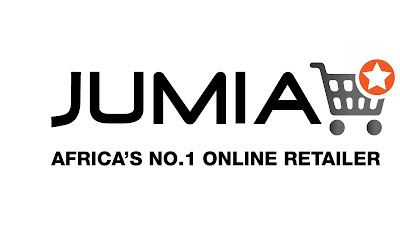 Jumia is the leading e-commerce player in Africa. Founded in 2012 in Nigeria, Jumia's mission is to revolutionize the concept of shopping by providing customers with the best online shopping experience. Jumia is part of Jumia Group, a leading global incubator of startups specialised in e-commerce. Jumia Group is Africa's leading internet firm, with already over 10,000 employees in over 28 African countries and huge successes such as Jumia, Jumia Market, Jumia Food, Jumia House, Jumia Car and Jumia Travel. It is led by top talented leaders offering a great mix of local and international talents and is backed by MTN, Rocket Internet, Orange, Axa, Goldman Sachs & Millicom. 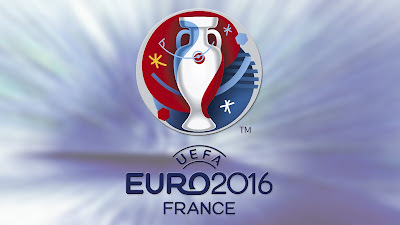 The 2016 UEFA European Championship, commonly referred to as UEFA EURO 2016 or simply EURO 2016 has come and gone. Yesterday night witnessed the final match of the tournament. The 120-minutes encounter, refereed by the highly revered English referee – Mark Clatenburg, saw the “A Selecao” army coming out winners, against all odds. Football in today’s world is not always about attacking and scoring goals. As important as scoring may seem, a very good defensive setup is needed, so that the scored goals can count at the end. Moreover, in an encounter like yesterday’s final, where both teams are almost at par, the defensive play may eventually be the difference. This is evident as the Portugese team’s defensive resilience paid off, ending the match with an important clean sheet. 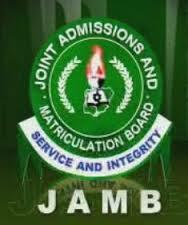 The Joint Admission and Matriculation Board (JAMB) has now distributed 2016 admission candidates to different schools where they will be considered for admission. Check where you have been posted for admission by supplying your JAMB UTME registration number here. 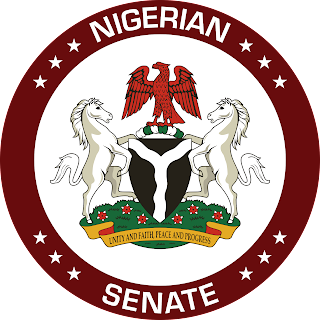 The Senate President, Bukola Saraki has once again assured students of Obafemi Awolowo University that the Senate will look into the crisis rocking the institution. Responding to a tweet reminding him of the promised Senate intervention into the #ReOpenOAU campaign, he said the Senate resumes tomorrow (Tuesday) and it will look into the issue. The #ReOpenOAU campaign enters its sixth day today and neither President Muhammadu Buhari nor his Vice, Yemi Osinbajo has responded to any of the hundreds of tweets pleading for their intervention. "I was supposed to fellow rise Afrika that fateful night as he was never a kegite member. I used to be Aluta Chairman of Awolowo Hall of Residence. The fact that I was pre occupied with the Kegite mass initiation that was to hold that night prevented me from leading boys to Old Buka where we later got to know the cultists were meeting. When they fired the first shot that killed Ajita in front of the Kegite palace in Awolowo Hall website all thought it was banger. External members of the Governing Council of Obafemi Awolowo University, Ile-Ife, Osun State have petitioned President Muhammadu Buhari over the dissolution of the varsity Council. Pro- Chancellor and Chairman of Council of the university, Prof. Rowland Ndoma-Egba, signed the letter on behalf of four others including Arc Omoyele Daniel, Chief Moses Otazi, Hon. Tajjani Goni Guzamala and Barrister S.I. Ameh (SAN). The name of the representative of the Federal Ministry of Education in the council, Ms Ann Ebun Haruna, was also listed. Entitled “In the service of our country” the letter was dated 8th July, 2016 and addressed to President Muhammadu Buhari. 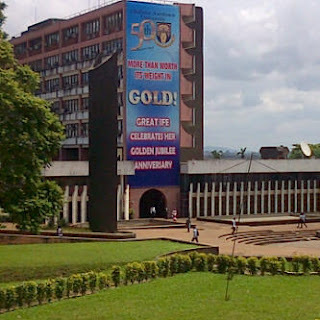 The OAU Governing Council inaugurated in February 2013 still has about two years to serve before it was terminated “with immediate effect” by the fiat of the Federal Ministry of Education on July 1, 2016.